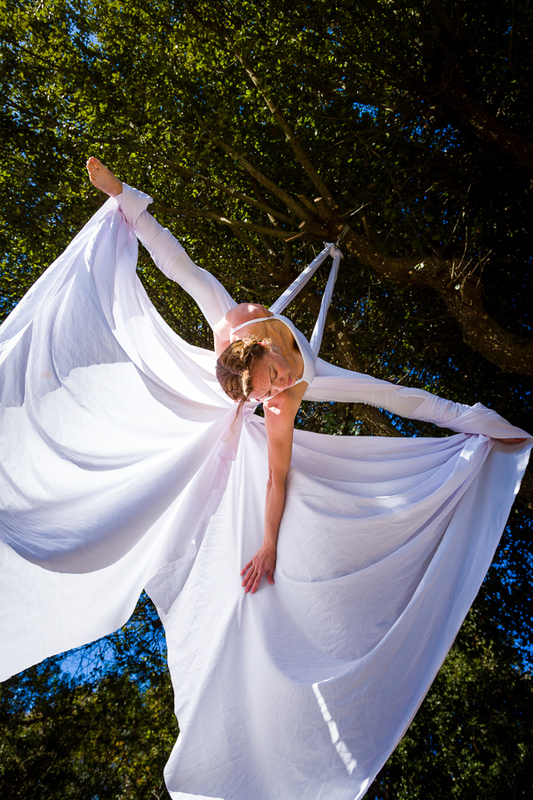 Recently, one of my students from my aerial class asked me how to rig aerial silks on a tree. She wants to train, and naturally take some pictures of her performing aerial tricks in her beautiful garden tree. Listening to her enthusiastic desire and excitement reminded me how seductive trees are for an aerialist. As a responsible aerial teacher, I had to tell her that getting into a relationship with a tree is intricate. She could either end up with her heart broken with disappointment, or in a love story with a happy ending. Of course, option No. 2 is what she wants! I told her that before she attempts first contact, preparation is crucial. At the beginning of my aerial journey, I fell for a tree too. Actually, I fell in love with many of them. Coming from a tropical country, it’s quite easy, as there are so many handsome trees. My sister, supportive as always, came along to do what she does best: being there to pull my feet to the ground if necessary. Together we chose the tree, rigging the silks from one of its many muscular branches. We took all the precautions; we prepared thoroughly. The experience was fantastic, all we could wish for: sun, fresh air, leaves…until we encountered the in-laws. Despite all our preparation, we missed a very important fact. Trees are alive, and we cannot treat them like inanimate objects. Our impressive tree was inhabited by thousands of ants, and not just any kind of ants: big, aggressive, Indiana Jones-style ants. Our session finished, with lots of laughter, and serious bites. But don’t be discouraged by the detailed preparations required. The extraordinary experience of being embrace by the branches of a tree is unique, and always rewarding.